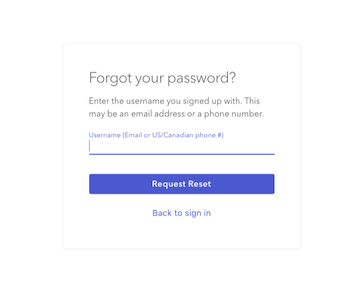 You'll need to request a password reset either in the app or in our web portal. You'll click "Forgot password?" and our system will send an email with reset instructions. This email often gets stuck in spam, so you may have to search for it. It also is time sensitive and expires for security's sake, so please take a look for the reset email right after you make the request. If you know your current password, but want to change it, you can do so from the web. 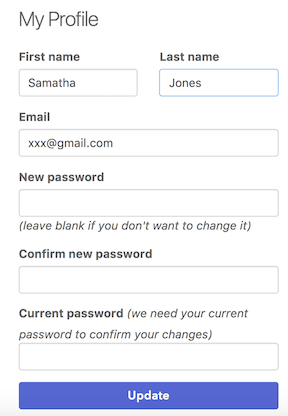 Enter your new password, and current password in the form provided. Enter your new email address in the space provided. Enter your preferred email address in the space provided.